It may seem hard to imagine, but I remember when shows at the Edinburgh Fringe had intervals. Venues such as the Assembly Rooms presented many two-act shows; ushers walked around with trays of ice cream. The arrival of comedy changed all that. There was a convenience to the one-hour time slot, and venues realised they could capitalise by programming more shows. But did they throw the baby out with the bath water? Before the new order, the fringe often saw larger scale work, frequently with established theatre actors. As a teenager in the late 1980s and early 1990s, I got to see many leading artists for the first time. I saw Alan Bates, Dario Fo, Complicite, Spike Milligan… I could go on. Booking a ticket at the Underbelly box office this year for Ruby and the Vinyl, I said to the assistant that I hadn’t realised John Godber had a show at the fringe. She looked at me bewildered and said: “Who is John Godber?” I can remember when you would open the fringe programme and count the productions of Godber’s Bouncers. In 2016, there was one – by a student drama society. And Godber’s Hull Truck Theatre Company, once a fringe stalwart, is now almost forgotten to the Edinburgh scene. I am nostalgic for those past fringes. Partly, that’s because they remind me of the excitement of discovery. (I haven’t lost that feeling, but my expectations are higher now.) I’m also sentimental for a time when the arts seemed better-funded and just a little bit easier, but perhaps that’s a view taken through rose-tinted glasses. If theatre is to survive and succeed, then its artists must keep evolving. A life in theatre is all about what you are doing next. Too many repeat productions, or overpriced shows, could spell the demise of the fringe. For the first time, in 2016 someone described Edinburgh to me as “a young person’s festival”. The remark concerned me. 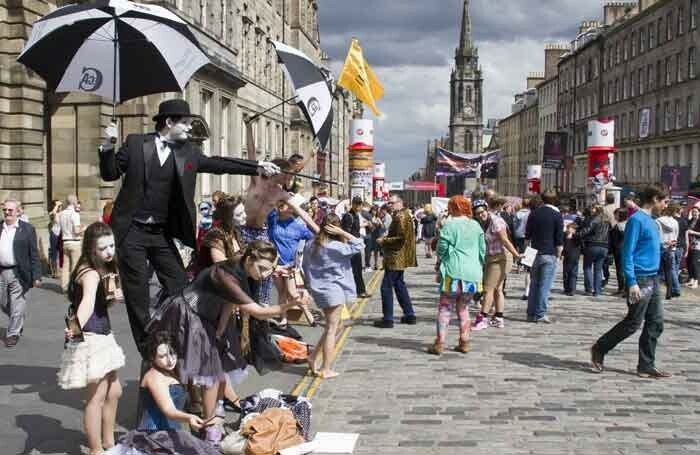 The fringe has always been cutting-edge, boundary-breaking and alternative. Its ethos must always be one of open access, inclusion, diversity and danger. Yet if it becomes elitist or pretentious, it will end up as nothing more than an exclusive members-only club. The work today at the fringe has become rawer and more visceral. There are more opportunities for new artists to emerge, even if they are presenting in a more competitive marketplace. These opportunities have been enhanced by the development of new venues, such as Summerhall, and the array of performing spaces. When today’s first-time fringegoers and artists look back and romanticise the Edinburgh Festival Fringe, perhaps they will remember the charming and chaotic Summerhall, or the artists and shows they saw. But it is essential to the ongoing development of the fringe that their experiences are passed on to the next generation.